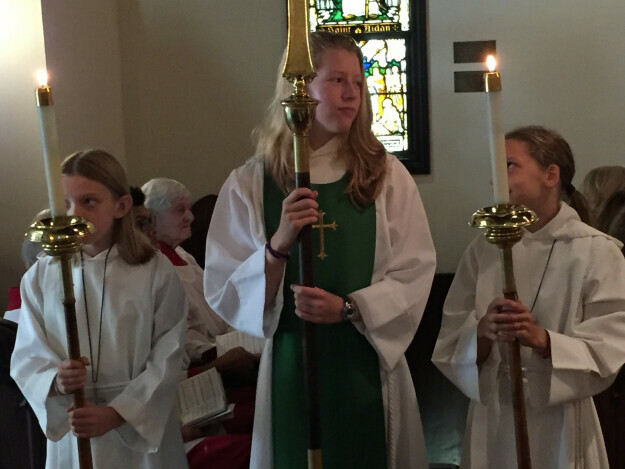 All youth in 4th Grade or higher are welcome to join us for this hands-on session in which we will practice leading processions, serving at the altar, and other acolyte duties as assigned. Come learn more about this significant leadership role in our church’s worship. We use Sign Up Genius for scheduling so parents can sign up kids according to availability. This is an excellent opportunity for our young people to become more invested in worship as active participants and leaders. Contact Dudley Winthrop or Emily Griffin to sign up for the training (which should last less than an hour). Questions about scheduling? Contact Stephanie Curcuru.